Caregivers are an essential piece of the puzzle when it comes to senior health and safety. But what really portrays a caregiver job description and what are their top duties? Caregivers need to devise an individualized care plan that considers the needs and preferences of the senior, including time allotted to their care. Caregivers should also document daily care and adapt plans as needed. Ultimately, each senior has their own set of requirements and their care plan should reflect and accommodate them. Particularly with the guidance of a loved one’s primary care provider, assess medical needs that require additional attention, such as monitoring blood pressure and glucose and administering medications. Using a medication reminder system is a beneficial way to ensure medications are taken appropriately. Although good nutrition is key throughout the lifespan, it can be quite the barrier in seniors related to inevitable body changes and cognitive decline. That being said, apart of a caregiver’s job description is to assist in mealtime, including planning and preparing meals. Caregivers should also help with kitchen cleanup, monitor food expiration dates, and optimize health and nutrition for seniors with these 10 tips or 15 quick and simple meal ideas. 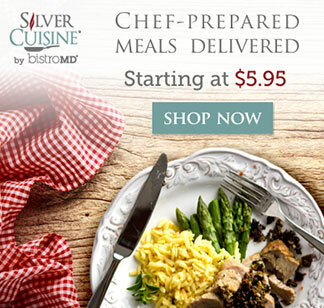 Seniors and caregivers can take advantage of Silver Cuisine, an a la cart meal delivery service providing well-balanced meals straight to doorsteps! Caregivers have the duty to assist seniors with personal care, including bathing, grooming, dressing, and toileting. 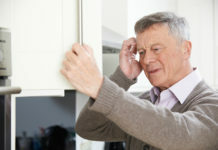 Seniors may need assistance in activities of daily living (ADLs), such as making the bed, cleaning the house, loading and folding laundry, and taking out the trash. Maintaining and organizing a calendar and mail can help seniors stay on track. Caregivers are in a unique position to help certify a safe environment for their loved ones, especially with falls being a leading cause of injury amongst seniors. General home safety tips include providing adequate lighting, installing railings and ramps, eliminating clutter, and considering an alarm system. 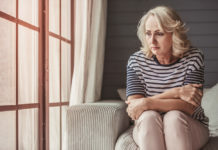 Seniors likely lose the ability to drive as they grow older, which can increase the risk of social isolation and compromise overall wellbeing. Caregivers should help provide or find transportation services to hair or doctor appointments, church, local events, and other errands. Hobbies can be extremely beneficial for seniors, as they grant a sense of purpose and stimulate brain function. Encourage seniors to be active with current hobbies, along with exploring new opportunities as needed or desired, including reading, gardening, quilting, or playing cards. Stimulating the brain keeps minds active and facilitates healthy mental and emotional functions, ultimately fostering a sharper mind and more positive outlook on life. Although the identified caregiver job descriptions above are critical to senior care, one of the most important duties of caregiving should not go unnoticed: Companionship. 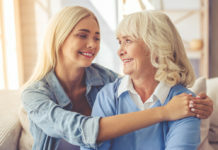 Take this time to spend quality time with one another and get to know each other at a deeper level, including with these 25 questions to ask elderly parents. The provision of company and friendship is not only beneficial to the senior, but equally rewarding for the caregiver. Next articleCan Many Older Adults Skip Vitamin D and Calcium Supplements?